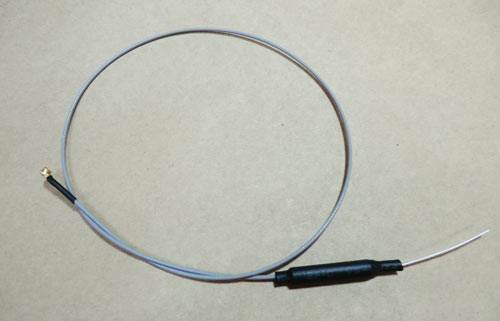 Clip on FrSKY receiver antenna - 40cm long. Need a longer antenna? FrSKY makes it easy. Just unplug your old antenna and plug in this longer version. Great for getting your antenna to the optimal position. Away from electrical loads, carbon fiber and metal. For carbon fiber planes we suggest you drill a hole and pop the unshielded end of the antenna outside the aircraft. This is a great length for carbon gliders and other aircraft where you want to get that antenna out away from shielding materials.